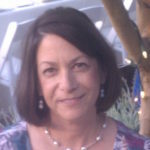 Joyce Glass transferred to Phoenix from Massachusetts in 1977 while employed by Digital Equipment Corporation. She went on to work for Intel in the finance department. Joyce is the parent of two successful children, Louis and Jessica, and she is Donald Hoffman’s better half. When her children entered elementary school, she wanted to give back to her community and became a special education assistant. Joyce has been involved with Special Olympics and on the board of Best Buddies Arizona.